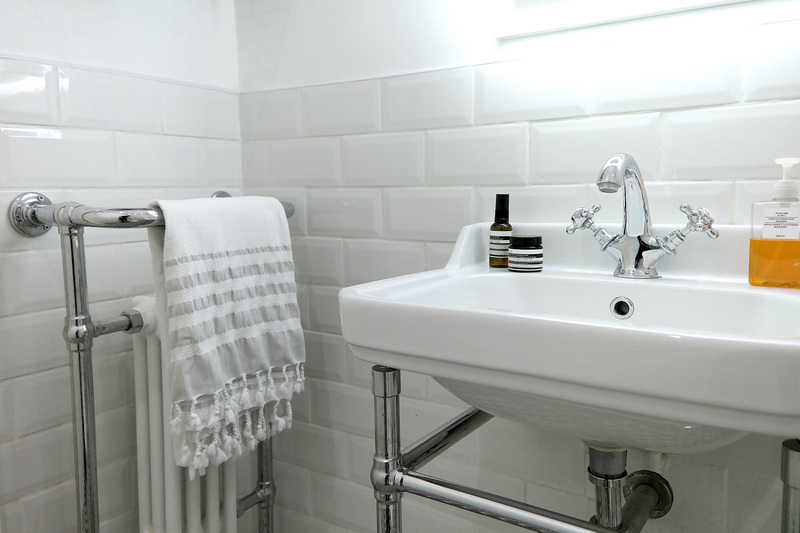 VP customer Joe from Birmingham has shared pictures of his Scandinavian-inspired vintage bathroom. 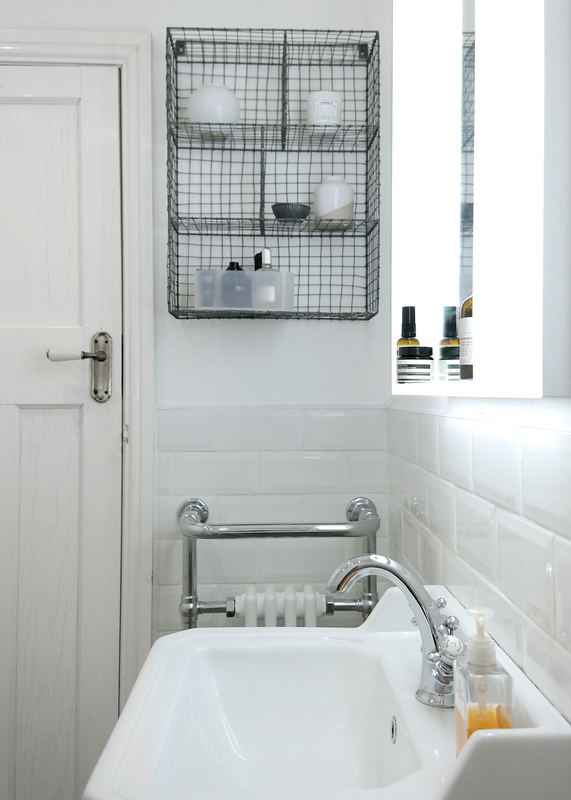 Joe has created the Scandinavian-inspired vintage look in his bathroom by combining minimalist styling with traditional fixtures. The dramatic colour scheme in this customer bathroom is a combination of half metro tiled white walls against a dramatic patterned tiled floor. The vintage features in Joe's bathroom include a traditional wash basin & stand, a crosshead basin mixer tap and a traditional heated towel rail. 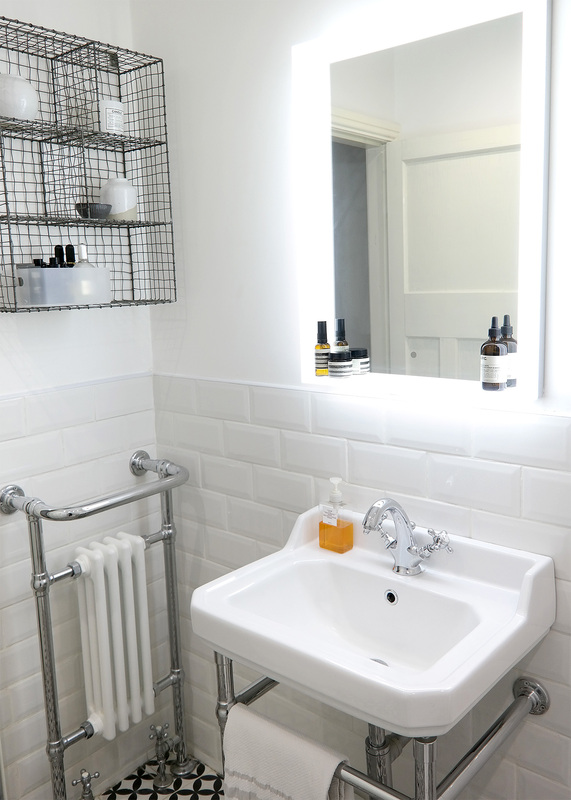 Other fantastic additions in this bathroom include an illuminated bathroom mirror and a black wire locker room shelf.